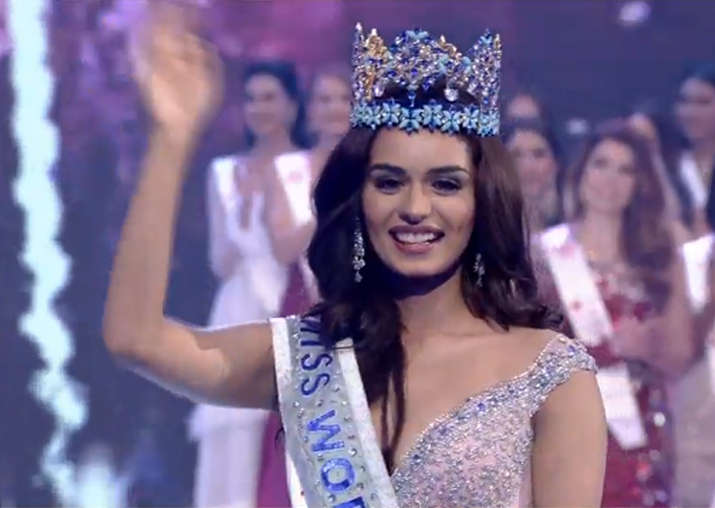 Sanya (China), Nov 18 (IANS) India’s Manushi Chillar on Saturday won the coveted Miss World 2017 title at a glittering event here, ending 16 years of drought for India at the international pageant. Priyanka Chopra was the last winner from India in 2000. Chillar, 21, looked emotional as the crown was placed on her head by Miss World 2016 winner Puerto Rico’s Stephanie Del Valle. She competed against 108 contestants from various countries at the pageant. Miss Mexico Andrea Meza was announced the first runner up, while Miss England Stephanie Hill was declared the second runner up at an event held at Sanya City Area. Manushi Chillar, born to doctor parents from Haryana, studied at St. Thomas School in Delhi and Bhagat Phool Singh Government Medical College for Women in Sonepat. She had also said that she is confident of winning the crown. Apart from the title, Chillar also won the Beauty with Purpose award. Chillar had earlier this year won the Femina Miss India 2017.